New England Flax and Linen is an organization dedicated to educating the public about the history of flax growing and linen production and the skills and technology associated with this process. We aspire to carry knowledge and use of this ancient fiber into the future, through research and skills-sharing events, like the Flax & Linen Symposium in August 2016 at Historic Deerfield, and on-going public demonstrations. Flax has a 30,000-year history of human use as a fiber for string, rope, nets, and cloth. Textiles and cordage made from flax can range from from durable, coarse, and utilitarian to gauzy, fine, and luxurious. This versatility earned flax the title Linum usitatissimum, the “most useful” fiber, among the ancient Romans. For hundreds of years, flax was the pre-eminent plant fiber of western Eurasia. 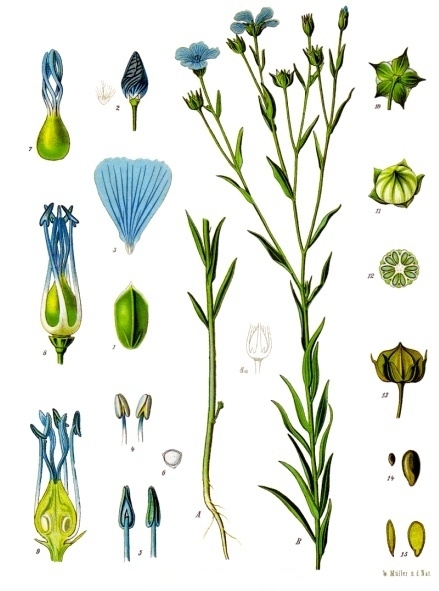 Flax was among the first plants brought to North America with European colonization and settlement. The knowledge and skills to grow and process flax was once commonplace in these agricultural communities. All that changed in the 1880s, when industrialization and cheap cotton (subsidized by slavery) led to a precipitous decline in flax production. Knowledge and skills concerning flax and linen became rare as the crop itself was no longer planted. In recent years, however, there has been a growing resurgence of interest in flax and linen, as well as in natural fibers in general – not just here in New England, but across North America and the world. New England Flax & Linen is excited to be part of this growing movement and we look forward to sharing the knowledges and skills we have gathered with our local communities. Check out & like our Facebook page.